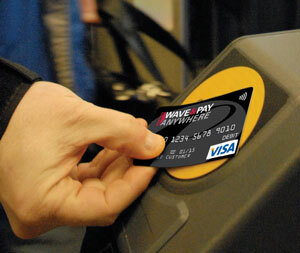 The Mercator Advisory Group has released a new report analyzing the transition to open-loop payments systems among transit authorities. According to Mercator, millions of public transport fares are processed every day through propriety, closed-loop smart card ticketing systems in metropolises like Hong Kong, London and Seoul – accounting for some $100 billion in annual fare collection. Mercator says many of these operators are now working on switching to open-loop payments based on contactless EMV bank cards in order to eliminate the cost of supplying their own tickets and spare themselves the hassle of adding retail payment capabilities onto their proprietary smart cards. In other words, since there are a number of regulatory hurdles keeping transit authorities from adding everyday retail payment capabilities, i.e. buying a cup of coffee or a newspaper, onto their smart cards, operators are finding it ultimately easier to “outsource” their ticketing to banks and credit card issuers, according to Mercator. Mercator added that NFC-enabled smart phones are another reason to transition to open-loop. The up-and-coming technology will soon be available on a number of handsets worldwide, and since it uses the same RF antenna as smart cards, no new or special turnstiles of fare boxes are required.